Shawn Springs (born March 11, 1975) is a former American college and professional football player who was a cornerback in the National Football League (NFL) for 13 seasons. He played college football for Ohio State University, and earned All-American honors. He was drafted by the Seattle Seahawks third overall in the 1997 NFL Draft, he played professionally for the Seahawks, Washington Redskins and New England Patriots of the NFL, and was a Pro Bowl selection in 1998. Springs was born in Williamsburg, Virginia, and largely raised in Silver Spring, Maryland. He was an all-state selection in high school football at Springbrook High School where he played running back and cornerback. He is the son of former NFL running back Ron Springs. After graduating from high school, Springs decided to attend Ohio State University, where he played for Ohio State Buckeyes football team from 1993 to 1996. He started all 37 games after being redshirted his freshman year. Springs earned All-Big Ten honors as a sophomore and junior, as well as an All-Academic selection. He was recognized as a consensus first-team All-American and named Big Ten Defensive Player of the Year in 1996. Springs was drafted third overall by the Seattle Seahawks in the 1997 NFL Draft. He started 10 games in his rookie season, recording one interception. Springs was selected to the 1999 Pro Bowl in his second season in the NFL, after starting all sixteen games, and recorded 76 tackles, seven interceptions, and two defensive touchdowns. He started every game of his next two seasons in Seattle, recording five interceptions in 1999 and two in 2000. Springs was signed as a free agent on March 4, 2004 by the Washington Redskins. In his first season in Washington, he led the team in interceptions with five, and sacks with six, and was the first cornerback to lead his team in sacks and interceptions in NFL history. 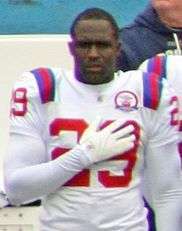 In the 2005 season, Springs played much of the season with a leg injury; he finished the year with one interception and recorded 50 tackles in 15 starts. The 2006 season saw Springs on the bench for most of the year, battling nagging injuries while the Redskins compiled a 5-11 season. He was eventually placed on injured reserve on December 26 with a fractured scapula. Springs ended the 2007 season with 62 tackles and four interceptions, the latter in the last four regular-season games, as he helped the Redskins make the playoffs. Springs was released by the Redskins on February 27, 2009. Springs signed a three-year contract with the New England Patriots on March 11, 2009. He started four of the first eight games of the 2009 season for the Patriots. In November, he missed a four-game stretch with a knee injury, despite being listed as probable on each week's injury report. After back-to-back losses, he returned to start the final four games of the season and the Patriots' playoff loss to the Baltimore Ravens. He finished the season with one interception, 40 tackles, and four passes defended. On May 18, 2010, the Patriots released Springs. ↑ Pro Football Hall of Fame, Draft History, 1997 National Football League Draft. Retrieved February 2, 2012. ↑ "Shawn Springs Stats". ESPN Internet Ventures. Retrieved 15 April 2014. This article is issued from Wikipedia - version of the 3/12/2016. The text is available under the Creative Commons Attribution/Share Alike but additional terms may apply for the media files.